At Save the Harbor/Save the Bay we started the day with a meeting in the morning. After the meeting, I walked to my job site at the Boston Children's Museum. We set-up and got all our materials in order. 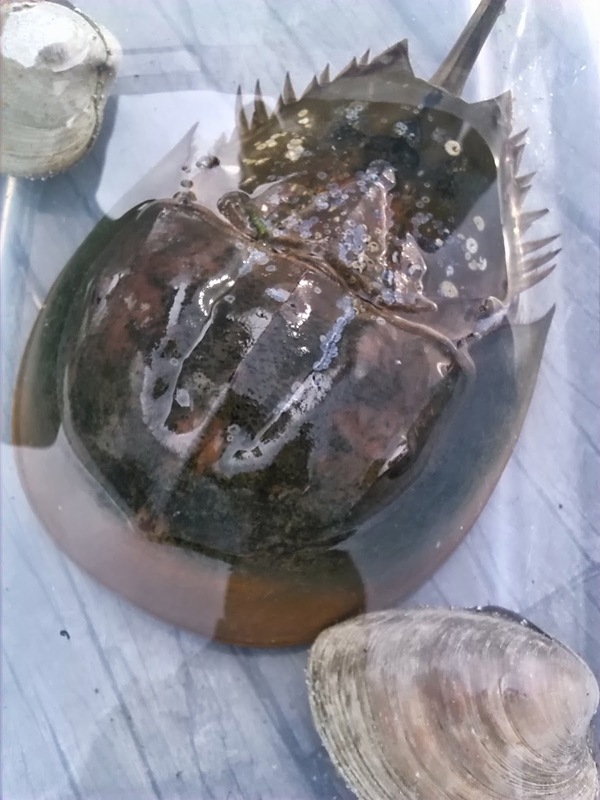 The first thing we caught was a horseshoe crab. It was a nice size. Also, we caught two small fish, two spider crabs, and a jelly fish in the crab trap. As the children started to arrive, the gathered around our group to view what we caught. As they came over, we started to talk about the horse shoe crab and all of the other creatures in our tank.